The MXIII-G TV Box is a new Android mini PC powered by the Amlogic S812 chipset starting at just around $50. Whilst sharing similar specifications to devices such as the Beelink MXIII Plus, the MXIII-G does add Gigabit Ethernet 1000M port for those with more demanding networking requirements. It also features 8GB of internal storage, 1 or 2 GB of RAM (depending on the version), Bluetooth 4.0 and 2.4GHz b/g/n Wi-Fi. Android 4.4 comes pre-installed, but we already have downloaded and ready to install the Android 5.1 update. [Update] BWT, you can download latest Android Lollipop 5.1 stock firmware for MXIII-G Android TV Box from here. To flash firmware on this box from PC via AMLogic USB Burning Tool read this article. You can now buy MXIII-G TV Box with 1GB of RAM from gearbest.com for only $56.99 with free shipping. You can also buy MXIII-G TV Box with 2GB of RAM from gearbest.com for only $63.99 with free shipping. ● Comes with a RJ45 jack for 1000M Ethernet which provides a strong network extension. ● True 4K x 2K resolution which delivers best audio and video quality for you. ● Powerful Amlogic S812 Quad Core CPU and Octa Core ARM Mali-450 GPU: Stable and reliable. ● XBMC supported. XBMC can be used to play almost all popular audio and video formats. ● Android 4.4 KiKat: Rapid and stable, gives you access to over 800,000 apps including Facebook, Youtube, Picasa and more. ● Professional H.265 video decoding technology and 2.4G + 5.8G WiFi, offering a more stable WiFi signal to enjoy a higher quality video experience. ● 2GB RAM + 8GB ROM, 32GB maximum extended capacity gives you more space to download your favorite apps and caches to browse websites, play games, run apps, watch movies more smoothly. ● HDMI 1.4 connector: You can go directly to let your TV and MXIII-G are connected through a HDMI cable and set up your home cinema for the best 4K x 2K Full HD multimedia experience. ● 2 x USB host ports and 1 x OTG port: Connect with your mouse and keyboard to help you operate more convenient. I'll be back soon these days with the first impression story, so stay close. 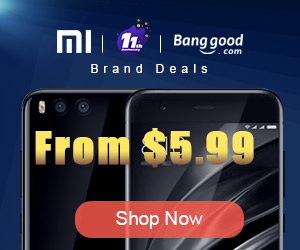 GearBest is more than just a shopping site, it's designed for gadget lovers by gadget lovers. We have a passion for all kinds of tech from retro style to the absolute cutting edge. 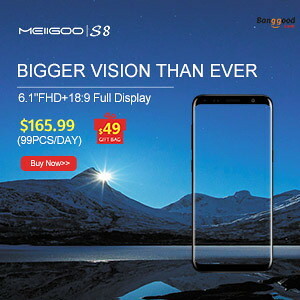 At GearBest, our company vision is simple: to become the premier online electronics seller by providing an unparalleled selection of the very best gadgets, an unbeatable shopping experience, prompt shipping and exceptional customer service that exceeds expectations. For us, the customer is always king. Our total commitment to customers empowers us to work closely together with every customer. When you buy from us, the sale is not complete when we ship your order, it is complete when you are totally satisfied. If you want a streaming device I may suggest you to get an android TV box just like what I've got.